The award ceremony’s core purpose was to encourage Quality improvements in both manufacturing as well as service sectors in India. Brands Impact International Quality Awards. The directors of Brands Impact, Amol Monga and Ankita Singh, recently presented the second edition of International Quality Awards in association with World Quality Promotion Council. The award ceremony’s core purpose was to encourage Quality improvements in both manufacturing as well as service sectors in India. The ceremony was graced by the presence of the beautiful Mrs. Kareena Kapoor Khan as the chief guest. She looked stunning as ever and didn’t fail to make heads turn at the gala event. Dr. Sohini Sastri, an internationally acclaimed astrologer, awarded by Hon’ble Vice-President of India, Shri M. Venkaiah Naidu, was also present at the event. She is one of the most trusted astrologers in India who is known for her accurate astrological predictions. Dr. Sastri spoke astrologically about Kareena’s past and future and made some very interesting comments. 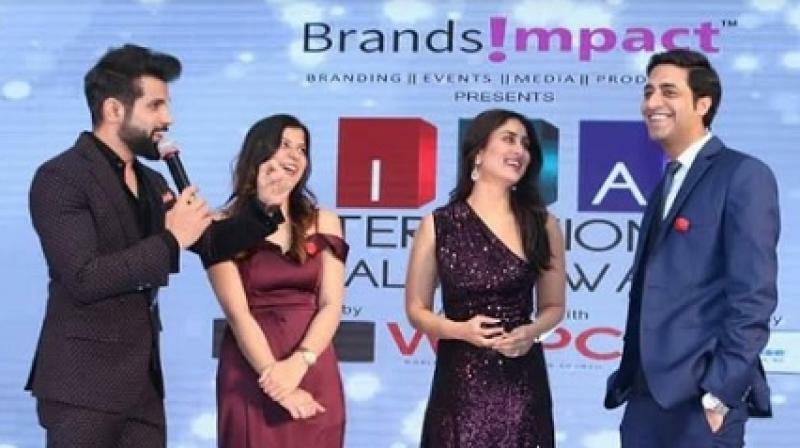 Actress Adah Sharma was awarded as Most Influential Celebrity on Social Media, Shama Sikander as Style Icon of The Year, Sunil Grover for Outstanding Contribution to the Indian Cinema and Television Industry, Vikas Gupta as Most Impactful TV Personality of 2018, Parth Samthaan was awarded Youth Icon of the year 2019, while Sanjeeda Shaikh and Aamir Ali bagged the Award for 'Most Glamorous real life couple of television of the year’. The ceremony was hosted by the talented and versatile Ritvik Dhanjani. The event was concluded with a stylish Page 3 Party at Club Enigma with socialites from the world of Fashion & Bollywood and sizzling live performances by DJ Tan, DJ Maria and Tabish Pasha. Among the winners of the second Edition - International Quality Awards were Leena S. Nail Salon - The Nail Artistry, which was awarded for Most Luxurious Nail Salon in India, Sculpt by Geetaa Paul, was recognized for Most Trusted Slimming, Beauty & Aesthetic Clinic in India. Vikas Sharma won the award for Entrepreneur of the Year (Real Estate Sector) and Madhulika Mehta won the title Luxury Fashion Designer Supplying High-End Garments Globally. The awards ceremony that turned out to be a grand success was held in JW Mariott, Juhu, Mumbai. For more information, please visit www.brandsimpact.in.